This article was collaboratively written with Klaudia Froncz, a fourth-year PharmD candidate at Chicago State University College of Pharmacy. It is caused by Pneumocystis jirovecci, formerly known as Pneumocystis carinii, a ubiquitous fungus.1,2 Patients at risk for PCP include those with HIV (highest risk), with a history of solid organ or bone marrow transplants, malignancy, and those taking immunosuppressive medications. Before PCP prophylaxis and antiretroviral therapy became standard of care, PCP occurred in 70% to 80% of patients with AIDS.2 The significant morbidity and mortality caused by this infection led to development of guidelines for its treatment and prevention in HIV-infected patients, which recommend chemoprophylaxis against PCP for CD4 counts <200 cells/mm3. Unfortunately, regarding other autoimmune disorders, such as rheumatic disease and long-term steroid use, no guidelines have been formulated for PCP prophylaxis. Receipt of systemic corticosteroid therapy has been identified decades ago as a risk factor for PCP in patients with rheumatic diseases.1,3 Corticosteroids are believed to deplete CD4 cells leading to immunosuppression and development of the infection. In fact, low to moderate doses of corticosteroids are associated with an increased risk of PCP. Currently, there are many issues regarding PCP prophylaxis in this patient population that have not been addressed adequately. One of the most significant issues relates to the unknown degree of immunosuppression that would warrant the initiation of PCP prophylaxis. In other words, what dose of steroids necessitates the need of prophylactic therapy? In addition, how long do patients need to be on steroid therapy to warrant prophylaxis? As mentioned previously, there are no guidelines or randomized clinical trials for PCP prophylaxis in patients who do not have HIV and who are managed on long term steroids. However, the American Thoracic Society provides a low evidence-based recommendation to consider PCP prophylaxis during the time period of treatment with >20 mg/day of prednisone for longer than 1 month.4 Additionally, there is 1 recent noteworthy article that can guide the approach to this clinical issue. 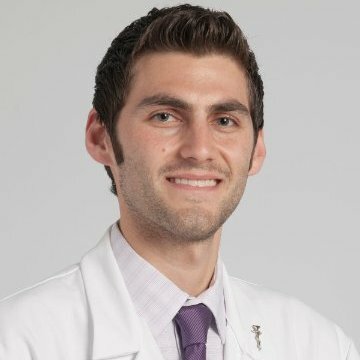 Park and colleagues conducted the largest retrospective study that evaluated the efficacy and safety of PCP prophylaxis in patients receiving prolonged high-dose steroid therapy.5 The investigators identified patients with rheumatic diseases who received ≥30mg/day of prednisone for ≥4 weeks. Next, they divided this cohort into 2 groups: those who received trimethoprim/sulfamethoxazole (TMP-SMX) prophylaxis (prophylaxis group) and those not receiving prophylaxis (control group). The primary outcome of the study was a one-year incidence of PCP in each group. Secondary outcomes consisted of PCP-related mortality and incidence of adverse drug reactions related to PCP prophylaxis. Looking at the baseline characteristics of the groups, some important differences were noted. Patients in the prophylactic group were typically older and presented with diseases associated with a higher risk of PCP such as granulomatosis polyangiitis, microscopic polyangiitis, and dermatomyositis. They were also more likely to have lymphopenia, had greater steroid use in the past, and concomitant use of cyclophosphamide. To adjust for these differences, the investigators used propensity score matching and generated two new post-matched groups that were based on the presence of certain underlying diseases. Additionally, the primary outcome on the post-matched population as a method to overcome bias. After the conclusion of the study, it was found that TMP-SMX prophylactic treatment in the propensity-matched groups was associated with a 93% decrease of the PCP incidence (HR=0.07; 95%CI 0.01 to 0.54). There was also a decrease in PCP-related mortality in the prophylaxis group (HR=0.07; 95% CI 0.0005 to 0.55). This study showed that prophylactic treatment was beneficial at preventing PCP and its related mortality. Adverse effects occurred in 32 patients and were mostly mild. Two patients had severe adverse reactions including Stevens-Johnson Syndrome and pancytopenia. The analysis showed a number needed to treat of 52 to prevent one case of PCP, with a number needed to harm of 131. The authors further stratified the number needed to treat based on initial steroid dose. If the initial dose of prednisone was ≥60 mg, the number needed to treat was 32, while lower initial doses led to a number needed to treat of 215. The final question that needs to be addressed is when to stop prophylaxis after starting therapy. Similarly to initiation of PCP prophylaxis, HIV guidelines provide specific recommendations surrounding timing of prophylaxis discontinuation , however, similar recommendations are absent for patients who do not have HIV but require prophylaxis.2 Park and colleagues noted in their study that 90% of patients with a diagnosis of PCP were receiving prednisone doses of ≥15 mg daily.5 This is similar to previous literature on the subject.5,6 Based upon that information, it is likely that PCP prophylaxis can be stopped in patients when their steroid dose drops below 15 mg daily. Prolonged high-dose steroid therapy is a powerful treatment utilized frequently in rheumatic diseases. Unfortunately, it is associated with significant immunosuppression that predisposes patients to infections such as PCP. Although it can lead to death, PCP is preventable with appropriate prophylaxis therapy given to patients at high risk of infection. When is the right time to initiate the PCP prophylaxis in patients on prolonged high-dose steroid use? The answer lies with the underlying rheumatic disorder, steroid dose, and patient risk factors.6 Most rheumatic disorders will need initiation at prednisone doses ≥30 mg/day for longer than 4 weeks with discontinuation at doses of <15 mg/day. A stronger recommendation can likely be made for patients receiving prednisone doses ≥ 60 mg. A recent review by Winthrop and Bradley proposed PCP prophylaxis recommendations based on glucocorticoid use and is a welcome addition to this literature pool. It describes steroid doses when to start and stop prophylaxis along with risk factors which need to be considered. It should be noted, however, their recommendations were based on limited data and expert opinion. Mori S, Sugimoto M. Pneumocystis jirovecii Pneumonia in Rheumatoid Arthritis Patients: Risks and Prophylaxis Recommendations. Clin Med Insights Circ Respir Pulm Med. 2015 Sep 6;9(Suppl 1):29-40. Kaplan JE, Benson C, Holmes KK, et al. Guidelines for prevention and treatment of opportunistic infections in HIV-infected adults and adolescents: recommendations from CDC, the National Institutes of Health and the HIV Medicine Association of the Infectious Diseases Society of America. MMWR Recomm Rep. 2009;58(RR-4):1-207. Yale SH, Limper AH. Pneumocystis carinii pneumonia in patients without acquired immunodeficiency syndrome: associated illness and prior corticosteroid therapy. Mayo Clin Proc. 1996;71(1):5-13. Limper AH, Knox KS, Sarosi GA, et al. An official American Thoracic Society statement: Treatment of fungal infections in adult pulmonary and critical care patients. Am J Respir Crit Care Med. 2011;183(1):96-128. Park JW, Curtis JR, Moon J, Song YW, Kim S, Lee EB. Prophylactic effect of trimethoprim-sulfamethaxazole for pneumocystis pneumonia in patients with rheumatic diseases exposed to prolonged high-dose glucocorticoids. Ann Rheum Dis. 2018;77(5):664-9. Winthrop KL, Baddley JW. Pneumocystis and glucocorticoid use: to prophylax or not to prophylax (and when? ); that is the question. Ann Rheum Dis. 2018;77(5):631-3.